"There is no stopping the Japanese players," screamed the Nikkan Gendai tabloid, after the pair became the first from the country to secure semi-final berths in both singles competitions during a Grand Slam. The last Japanese woman to achieve a Grand Slam semi-final was Kimiko Date at Wimbledon in 1996 -- a year before Osaka was born. "Osaka was in full throttle from the start," Nikkan Sports said in its digital edition, reviewing her 6-1, 6-1 quarter-final victory over Ukraine's Lesia Tsurenko. "She showed her strength and accuracy, as well as a cool intellect to predict how her opponent would move." "She has taken a step into uncharted territory for Japanese women in New York," the paper added. 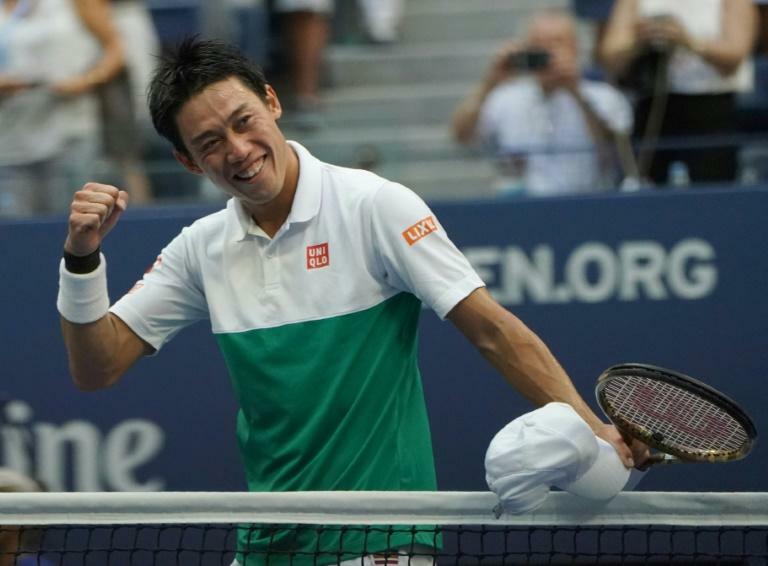 Meanwhile, Nishikori's victory over Marin Cilic was seen as sweet revenge for the 2014 US Open final, which ended in victory for the giant Croat. "Nishikori gets his revenge on Cilic," said a Sports Nippon headline. "Great! I want to see her go against Serena in the final," said one Twitter user. "Awesome! Nishikori-san and Naomi Osaka get into the semi-finals. Next match is vs Djokovic. Please win," wrote another.